Is there only one reality? I think not. There are not only many realities, there are multiple perceptions within just one reality. One of the things we will look at in this article is our ability to shift our perspective, by entering an altered state. Just by thinking we can change our state. Even to a far greater degree than you may realize. WE CHOOSE WHAT AND HOW TO THINK. Thinking is the bases of everything. Everything begins with a thought. A skyscraper begins as a concept within the mind of one person. This person then convinces others that this is the thing to do. So money is raised and the project is under way. A pencil or a paper clip lying on a desk had its beginning in the same way. We ourselves began as a thought. And that thought has not stopped. After God had the initial idea to make the Earth and us, he had to raise some money. We are in ever-increasing thinking mode. Thinking on multiple levels about multiple things constantly redesigning our surroundings and even ourselves. As our awareness is steadily growing our levels of awareness are also increasing. For us to keep up with ever increasing demands we put on our selves we must do more, think more, and be more. But how can we be more than we are? It is simple, we are already doing it. We are becoming more aware of who we really are. We are more than flesh and bones; we are more than our minds. When we use psychometry (getting intuitive information from an object) we are using a part of the brain that is seldom used in Western society. It doesn’t even feel like an altered state. We are using our creative intuition. It doesn’t require that you roll your eyes back in your head to see what’s going on in the minds eye. We simply do it. We don’t have to think about it. In fact, thinking gets in the way of psychometry. By judging or trying to guess what is going on with an object we get in the way of the real information. 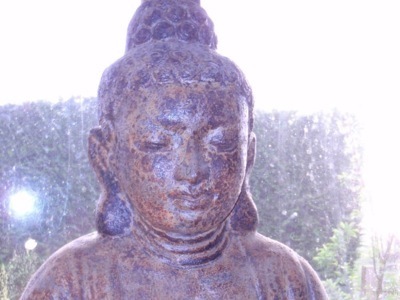 Our on going ultimate quest is for enlightenment, whether we admit it or not; whether it is a conscience effort or not. It is through our experiences and realizations that we become aware or enlightened. You can’t get there by someone telling you their truth, or by seeing it on TV or reading about it. The truth about reality is something we strive to know. “But you already know! I’ve just told you! Yet you don’t want to know the Truth, you want to know the truth as you understand it. This is the greatest barrier to your enlightenment. You think you already know the truth! You think you already understand how it is. So you agree with everything you see or hear or read that falls into the paradigm of your understanding, and reject everything which does not. And this you call learning. This you call being open to the teachings. Alas, you can never be open to the teachings so long as you are closed to everything save your own truth. We need to unlearn what we think we know. Knowing gets in the way of understanding. It's not that you discount everything you’ve learned. Be open to adding multiple perspectives to what you know - allowing it to fit in with other points of view. This is what enlightenment is about. Again using psychometry as an example - finding information centered on an object does not come from your personal experiences - you are tapping into someone or something else’s experience. You do not use any of the five senses. We are in a sense using our own minds, going in deeper, because we already know. In effect going to the in-between spaces of knowing. It’s not always easy to put into words when we pick up on the vibrations of an object. But the easiest way to convey them to another is to put it in words. We sometimes get mental images from objects, and as you know a picture is worth a thousand words. We also get feelings from objects; this makes it even more difficult to put into words. We use intuition more than we realize. How often have you picked up the phone just when you were thinking of that person? We are connected in ways we don’t quite understand yet. Physicists are discovering this interconnectedness in their work. we are often meditating without realizing it. Some call it daydreaming. In fact our state of mind is constantly altering throughout the day and night. When we become aware of our state of mind by becoming the observer, we are much more capable of changing our state of mind. Example: you get angry with some person and you do not want to carry this anger. You have the capability of completely dispelling that anger. A method I used to use was to imagine the unwanted feeling swirling around my head as energy. I would get that energy to spin faster and faster, and contain that spinning ball of energy in my hands. Then I would throw that energy into a stone and throw it into the ocean. This is just one example of consciously changing a mental state. We have the ability to do this at any time. But we must become the observer of self to know when it is necessary. Carrying worry causes stress which in turn manifest into a physical imbalance. So when you find yourself worrying about something. Shift your perspective of the situation and look at it in a different light. We have been shifting our perception of reality all along without knowing why or giving it much thought. One popular yet destructive method has become the norm in society. That is the imbibing in alcohol. It numbs senses, slows our reactions, and impairs our ability to make sound judgments. Yet this is an acceptable way of controlling our state of being. For tens of thousands of years shaman have used various natural methods of changing their perception of reality. This has been popularized by many young people today because they do not like their own view of reality. Drugs can drastically change your perception of reality. Many years ago I used marijuana, then I discovered I could get high just by being around people that were already high. This is called a contact high. Hallucinogens are used by some shamans to change their consciousness, and occasionally their patients take them as well. This change of consciousness enables them to open up the doors to perceiving and communicating with the spirits in the spiritual world or world of non-ordinary reality. Drugs and alcohol are not needed to change your perception. The next time you are at a party, or any event where alcohol is served, stand next to a person who has been drinking and tune into how they are feeling on a physical/mental level. You may begin to feel a bit tipsy without even taking a drink. Drugs and alcohol are not the best way to change your perspective. This can easily be accomplished by merely directing your mind. "You can become your own Shaman – healer, seeking the essential quality of “awareness,” along with courage, endurance, and patience." There are a million methods of redirecting the thoughts to achieve an altered state. What you are really doing is altering your awareness, expanding it. One of the easiest methods of shifting awareness is through breathing exercises. The first is as easy as becoming conscious of your breath, and holding your attention on it. Many meditation methods are based on breathing. By becoming aware of the breath your are inadvertently becoming aware of the Now. It is by our reactions that we cause stress for ourselves. Isn’t suffering a natural part of life? Why should we try to escape from it? S.N. Goenka: We have become so involved in suffering that to be free from it seems unnatural. But when you experience the real happiness of mental purity, you will know that this is the natural state of the mind. You are more than your mind it is just a tool you have. Become the observer of the mind and it becomes easier to control. When you take control of your thoughts you are taking control of your life and can direct it to unlimited potentials.